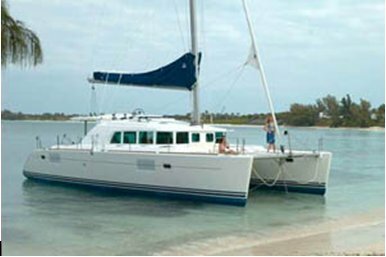 Coming soon is a departure from Sables Dolonne (west coast of France) in a brand new Lagoon catamaran that has to be taken to Fort Lauderdale in Florida. The intention is to join the boat in Sables Dolonne on 18th November (not before) and leave maybe 4 days after that. There is a reasonable amount of work to do in these 4 days getting all of the required provisions on board and completely familiarising ourselves with the boat and its operation. We will stop either at the Azores or Maderia where we will rest for a couple days before making for Florida. It is a passage of about 4,700 miles and from start to finish will take perhaps 7 weeks in total but with luck and the right winds we will get there for New Years Eve, which would be fun! At the end of the trip we will have to present the boat in as new condition for it to be handed over to the US dealers. This does take a good bit of scrubbing and cleaning. But as they say, many hands make light work.